All of us have struggled with these issues at one time or another. They are important issues that we cannot ignore. 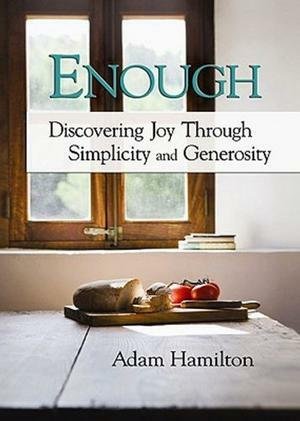 This is why, over five weeks beginning September 29, we will be having a church-wide study and worship emphasis called Enough: Discovering Joy Through Simplicity and Generosity. During this time we will explore what the Bible teaches us about financial management through corporate worship and possibly small group study. We’ll hear expert advice and stories about what others have learned by working through financial challenges. Each week we will provide you with some practical tools you can use to assess your financial situation and develop a financial plan with a biblical foundation. Books for the study will be available free of charge – one per household – beginning Sunday, September 15. At the conclusion of the emphasis, we will have the opportunity to make personal commitments of our offerings to God through our church in the coming year. We will consecrate these commitments in the worship service on three consecutive Sundays (see the schedule that follows).